This week, Cocktail Maestro Norm Owen enlightens us on the easily-overlooked element of a great drink: Bitters. “Bitters are the salt and pepper of your cocktail,” says Norm – in other words, the spice that brings it all together. 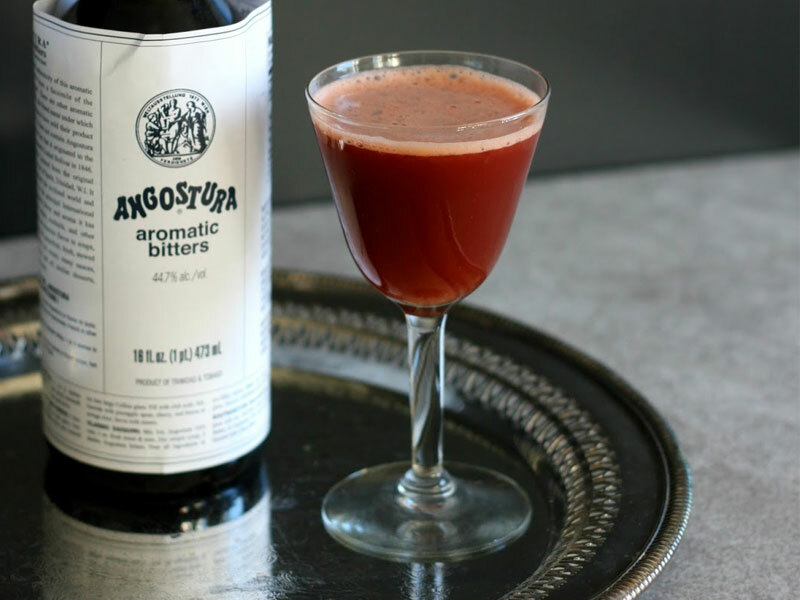 If you are building a bar, there are 3 essential types of bitters that to have that will take you a long way: Angostura bitters, Orange bitters, and Peychaud’s bitters. With these three you should have what it takes to tackle most classic cocktails. There’s one cocktail where bitters takes centre stage. Norm calls this one a “genius” cocktail. Great before your Thanksgiving dinner! Shake and shake in a cocktail shaker full of ice. Strain into a coupe and garnish with a sprinkling of nutmeg. Enjoy the spiced goodness!